Whether your home is old or new, leaks can occur whenever and wherever they want. Factors such as severe climate changes, soil conditions, ground movement and even poor construction can contribute to unexpected pipe damage which, if left undetected, can have detrimental and potentially costly side effects. We find leaks & fix them right – the first time. 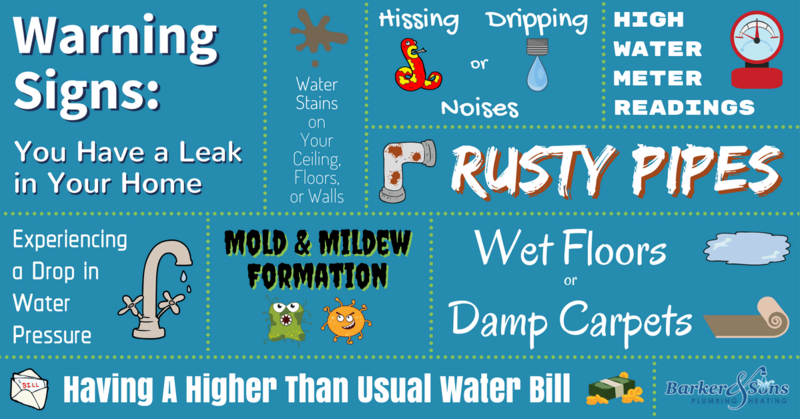 Noticing a leak in your home can be pretty easy at times. However, pinpointing the location of your leak may be extremely difficult to do on your own. Our team of expert plumbers can detect and fix leaks anywhere in your home. We use the newest technologies in leak detection and repair to save you time and money. Think you have a leak underground? In your walls? On the ceiling? No problem – Call Barker and Sons Plumbing & Rooter today! Barker and Sons Plumbing & Rooter uses the newest technologies in leak detection and repair to save you time and money. We don’t just locate and fix your leaks, we fix them right – the first time. Barker & Sons offers a 100% Guarantee on services we provide. Don’t let a little leak turn into a large problem. Call one of our highly qualified Orange County Plumbers today and we’ll stop that little leak from breaking your bank!